A lot of people enjoy listening to their music, even in the bathroom. The only problem here is preventing the music player, and speakers, from getting wet. Bluetooth enabled music players are the preferable music players used, which connect to Bluetooth enabled speakers. Music playing in the bathroom does not mean limiting the music to poor quality speakers, due to expense if high-quality speakers are damaged by the shower water. The quality of sound of the speakers vary, and the ability to resist humidity and wetness is another thing to consider when considering a suitable bathroom speaker to use. We bought the Bose Soundlink several years ago (before Bose made a waterproof version) and love the sound quality and deep powerful base that it kicks out from such a small speaker so we’ve picked it’s smaller, waterproof cousin as our top pick for best bathroom speaker: the Bose SoundLink Micro Waterproof Bluetooth speaker. Bluetooth waterproof speakers are great for listening to music in the shower. One of the most amazing features of this Bose SoundLink Micro speaker is its shape. It is sleek and portable, and very ideal for placement in corners and small edges. It small size, although, is often confused for lower sound production. But this is not true. The device produces a crisp and balanced sound, indoor and outdoor. It is designed with IPX7 Waterproof which makes it ideal for use in any water filled the place. (Rating 7 is given to devices that are immersion, up to 1 m depth). The Bose SoundLink Micro is STRONG. This thing is built to last and can take a lot of wear and tear. 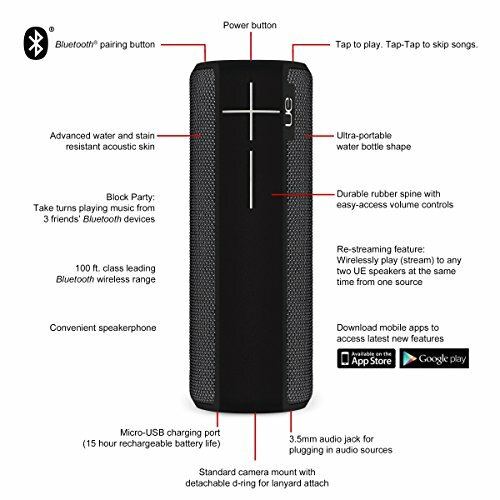 The battery durability is not the greatest, the speaker is rated to last for up to 6 hours on a full charge, although you may get more out of it if you are not playing it at max volume. It has voice prompts and works with Siri and Google Voice Now integration. The pairing is pretty simple, you just download the Bose Connect app, once downloaded you can control the speaker from your phone and even connect multiple units in your home to create a stereo effect. Where Bose really excels (for anyone who hasn’t had one of their products before) is the sound quality. I rarely max out the volume on my Bose speaker in the house because it’s just more than I need in the bathroom, but for when if you use it in larger rooms or outside, you’ll appreciate the extra boost of volume. 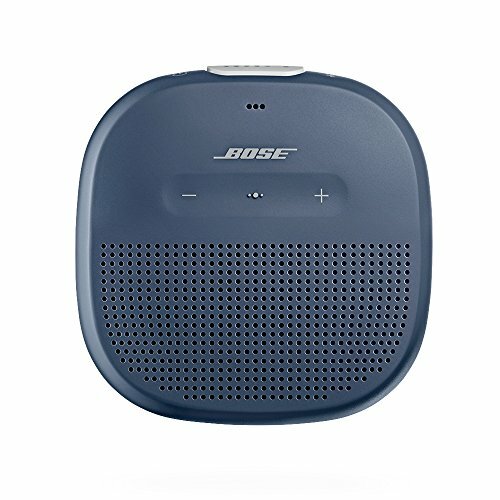 It is very ideal for outdoor use because of the Bose Connect feature that makes it connect to other Bose Connect compatible speakers to amplify the sound. The quality of sound is superb and gives the user the preference to switch between stereo mode and party mode. Here’s an in-depth review showing some additional features and the compatibility with both IOS and Android. One of the awesome features of this Boom 2 Phantom speaker is its production of sound in different directions. It is waterproof and shockproof, making it safe when touched with wet hands or splashed with water. It works with most Bluetooth compatible devices, possessing a Bluetooth range of up to 100 ft. The compatible devices include your Android, Apple, and most Bluetooth enabled media players. You can tap the device to play, pause and stop the device during music play. For a more hands-off experience, it is integrated with Siri and Google Now voice to enable the user to have full control without touching the device. Every long bath lover would fall for the durability of the battery. If you decide to spend the whole day in the bathroom, it has a rechargeable battery that lasts up to 15 hours after a full charge. The speaker has a detachable D-ring and can be mounted on a camera mount. 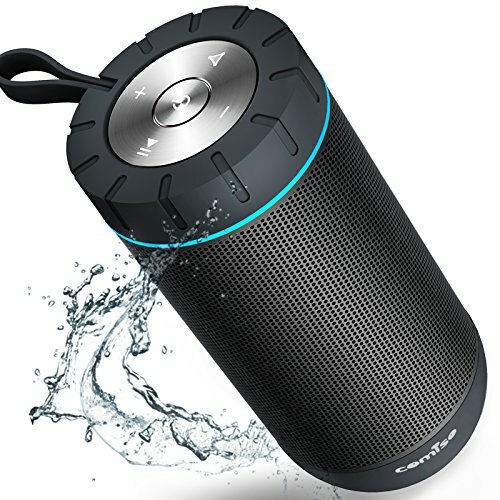 If you decided to test your new speakers at the pool with your friends, it has the ability to connect up to 150 speakers at once. It’s extremely unlikely most average consumers would have that many speakers! However, it is a bonus feature to be able to connect to multiple speakers especially if you have a large house, are throwing a party or get-together or just want to be able to listen in different spaces in your home. Longest battery life of all the speakers we tested. 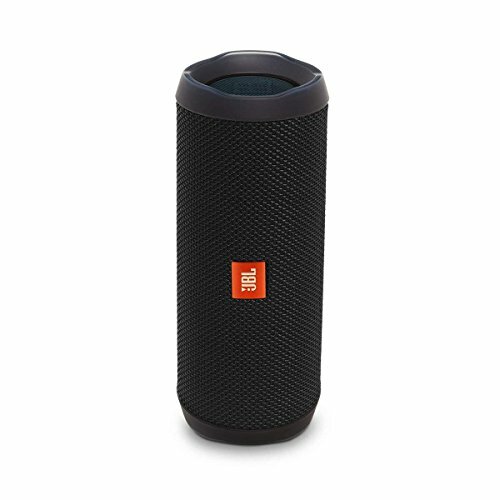 This Bluetooth speaker by JBL has a feature called wireless Bluetooth streaming, and it is not a feature you find on every wireless Bluetooth speaker. This feature caught my attention as it gives you the feature to connect up to 2 smartphones at once and play music alternating between the two devices. It is designed with IPX7 Waterproof to prevent water from penetrating into it. This feature makes it submersible in water and makes it ideal for use at the pool. The JBL connect+ is a feature that enables you to connect more speakers together to amplify the sound. The speaker has a good level of durability, possessing about 12 hours of playing time. It comes with Voice Assistance Integration to enable the user to control the device fully without having to touch the device. It is designed stylishly and makes it very ideal for use in pool parties. Finally, for those who understand the feelings you get when you listen to music with an adequate amount of bass, the device comes with a bass radiator that gives it a very powerful sound. Some buyers report declining battery life after several months of use. The third iteration of the Ultimate Ears Boom series, Boom 3 further improves upon the base design of its predecessors. It comes with an IP67 rating which means it is both waterproof (1m in water for half an hour max) and is dustproof. This alone makes it an ideal candidate to be installed in your bathroom. Also, it can float on water. There have been some tweaks to its overall design. For those who have either the Boom 1 or 2, you will notice that Boom 3 shifted the button controls around with the volume controls transferred towards the back of the speaker. The charging port is also located at the back end of the speaker and is protected by a waterproof seal door. Battery life of the Boom 3 is identical to previous versions as you will get up to 15 hours of music on one full charge. As you would expect, Boom 3 comes with a few new bells and whistles. It now has an all-around button control feature which allows you to pause, play, and skip music. Pressing and holding this button meanwhile will allow you to access and import music from your preferred streaming service. The Boom app has also been given a couple of new tricks. You can save your favorite playlist from streaming services and cycle through them using the multi-purpose button on the Boom 3. As for music quality, Boom 3 can deliver thumping beats with no problem whatsoever. Those who are familiar with the Boom series know what to expect from the Boom 3. It can deliver clear and dynamic audio without sacrificing precision. Boom 3 is ideal for a fun and casual listening experience. If you are nit-picky with accuracy in your music, you might find the Boom 3 a bit lacking. Incredible loud and is a perfect speaker for upbeat music. Waterproof and durable design. Can be a great companion in the outdoors as well. Clean and minimalist design for the modern music lover. Subtlety in sound is not one of its strong suits. It only has some slight improvements from previous iterations. Ultimate Ears or UE for short is one of the more stylish speaker manufacturers you can find today. A glance at the Roll 2 Volcano Bluetooth Speaker will quickly back up this claim. The disc-shaped design of their Roll series gives it a more compact feel which is a good design choice for outdoor enthusiasts. While the UE Roll 2 might seem virtually identical to the first Roll speakers, it is what’s inside that makes it a step above the original. One thing you will notice is how loud the Roll 2 can get compared to Roll 1. The sound quality is also noticeably more detailed and feels more open. It learned and improved upon the original, no doubt about it. The disc-shaped UE Roll 2 features a nifty collection of buttons without appearing cluttered. 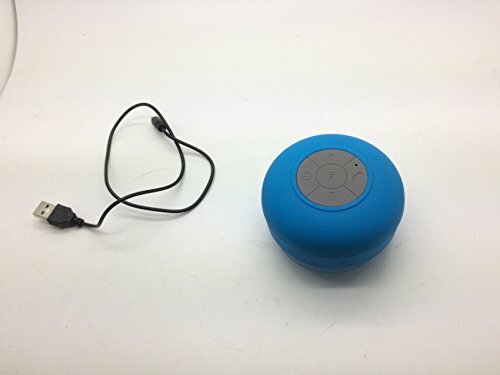 This is a plug-and-play Bluetooth speaker as all you need to do is connect it to your Bluetooth device and hit play. You can also connect it directly to your music player by plugging in a 3.5mm jack. A watertight door also protects the 3.55mm socket for those who wish to use it in the bathroom or outdoors. As stated earlier, the UE Roll 2 is compact and measures at 13.5cm in diameter. It is also quite lightweight at 330g. An excellent wireless speaker to bring if you are planning on going for a nice hike outdoors. However, don’t mistake its compact and lightweight qualities as being a disadvantage. The UE Roll 2 is quite durable and has an almost rugged feel to it. The UE Roll 2 has an IPX7 rating which means it can survive being submerged under 1m of water for about 30 minutes. Fortunately, Roll 2 comes with a tiny floatation device to prevent it from sinking underwater. Bright, dynamic, and open sound quality. Compact and lightweight yet quite sturdy. Bass quality has trouble competing with other similar speakers from rival brands. 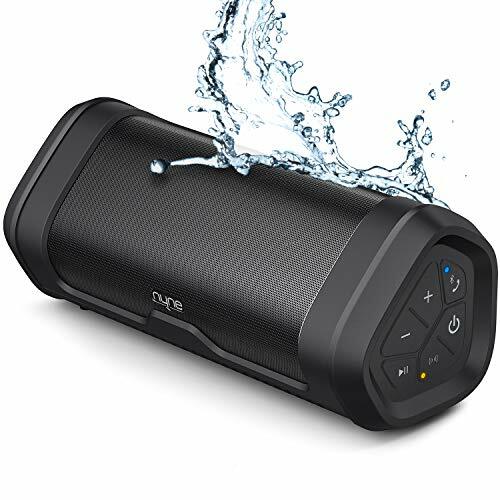 The NYNE Boost Bluetooth speaker is a user-friendly portable speaker that is among the top when it comes to connection capability and battery life. The NYNE Boost has a Bluetooth connectivity range that can reach up to 100-feet. It is also designed to connect quickly and easily with any Bluetooth device you have. Sound-wise, the NYNE Boost is an excellent speaker for the party. It manages to maintain a detailed and dynamic sound no matter the volume level which is an absolute must for any self-respecting speaker to have. The audio response provided by the NYNE Boost is quite impressive as you will barely encounter any distortion. As for other features included with the NYNE Boost, it comes with an IP67 waterproof rating which gives it decent water resistance (can withstand being submerged up to 1m for 30 minutes) and dust-proof capabilities as well. One of its main features is the True Wireless Connection which allows it to be paired to another auxiliary speaker for better sound quality in wide open spaces. As noted earlier, the NYNE Boost offers an exceptional battery life. It can be used for up to 20 hours on a single charge and only takes 3 hours max to fully recharge the battery. Great speaker for outdoor or in large open space areas. Great Bluetooth speaker audio quality for the price. Does not come with it a charging power cord. Not compatible with SD cards and flash drives. The TREBLAB HD77 is another portable cylindrical Bluetooth speaker that is the size of a can of coke. Don’t take its compact size at face value though; the HD77 is a powerful speaker that can deliver ground thumping beats. While the TREBLAB HD77 might not come with all the features of modern Bluetooth speakers, it did focus on developing its ability to deliver top-notch audio quality, which is even more impressive considering its tiny frame. At only 7.3 x 3 x inches, the cylindrical body of the HD77 is basically like holding a coke can. However, the outer shell is made from shock resistant ABS plastic, giving it impressive levels of durability. It has been tested to withstand impacts from heights of up to 3-feet. The HD77 has an IPX6 water resistance rating. This gives it a good defense against rain and splashes of water but avoids it being wholly submerged underwater as it is not designed to withstand that. The sockets are located at the bottom side of the HD77 and come with a waterproof seal. In terms of sound quality, the HD77 manages to pull out its full potential with the help of a pair of 12.5-watt speakers. The two drivers, when combined, can produce 25W stereo sound which is pretty impressive for this small speaker. The HD77 is surprisingly loud as well. TREBLAB also tried to focus on improving what they consider as their core strengths rather than trying to improve on all fronts and falling short of everything. This means that the HD77 excels in delivering extremely high tones but struggles with low moods. The good news is that the clarity is not dampened much on all frequencies. The DualBass technology also helps improve bass response. Other features like battery life are recorded as being able to play continuously for up to 12-hours on moderate volume levels. You can fully charge the battery in 4-hours tops. The HD77 is a great Bluetooth speaker for those who need a reliable portable speaker that delivers solid and well-rounded sound quality. Surprising clarity and dynamic quality sound for such a compact Bluetooth speaker. DualBass technology helps push bass response beyond its limits. Compact design allows it to fit into almost any space. Relatively shorter battery life compared to its competition. There is no way to turn off the LED lights. COMISO is another compact Bluetooth speaker but with more emphasis on being a noteworthy waterproof wireless speaker. It measures in at 6.5-inches in height and 2.8-inches in diameter. As for its water resistance rating, it comes with an IPX5 rating which means it is designed to withstand the occasional water splash but is not designed to be used underwater. As for what’s inside the COMISO waterproof speakers, it utilizes dual 6W drivers which equates to 12W of power in total. This is quite impressive if you take into account the extremely affordable price tag. The speaker is well-designed with pretty decent sound quality. Bass quality is thick and delivers that surround-sound experience. While the COMISO is considered as a budget Bluetooth speaker, it does one thing exceptionally well; and that is with its impressive battery life. Clocking in at 24-hours, the COMISO can play music for a whole day before the need to recharge. It does this feat thanks to its excellent 440mAH batter. Another feature the COMISO managed to squeeze into its small frame is the ability to connect to two different speakers. This helps enhance your listening experience by a wide margin even if it does lack in regards to top-quality dynamic drivers. 24-hour battery life at moderate volume levels. Can connect to two different speakers as well for added power. Bluetooth range leaves much to be desired as it might have issues connecting beyond a 10-feet radius. Sound quality lacks in clarity, but that is to be expected with its budget-friendly price tag. Another affordable Bluetooth speaker designed for bathrooms, the iFox iF012 is marketed as a waterproof speaker. However, I do need to point out that it currently does not have an IPX rating at the moment. Last time I checked, they are now in the process of applying it for an evaluation. Based on personal experience, the iF012 does manage to deliver a solid waterproof wireless speaker that can withstand a few splashes here and there. The sound is delivered via 3W drivers. While it will not be able to achieve impressive sound volume, it is a good fit inside the bathroom and has enough power to overcome sound from using the shower. As this Bluetooth speaker is designed explicitly for bathroom/shower use, you shouldn’t expect it to focus too much on battery life. It can only operate for about 2 to 3 hours max before having its 600mAH battery completely drained empty. As for the iFox’s features, it comes with one-push functionality which makes operating it completely simple and easy. It also has a pretty impressive suction cup which allows it to stick like white on rice to any smooth surface. Overall, the iFox might not satisfy audiophiles due to its limited sound quality. 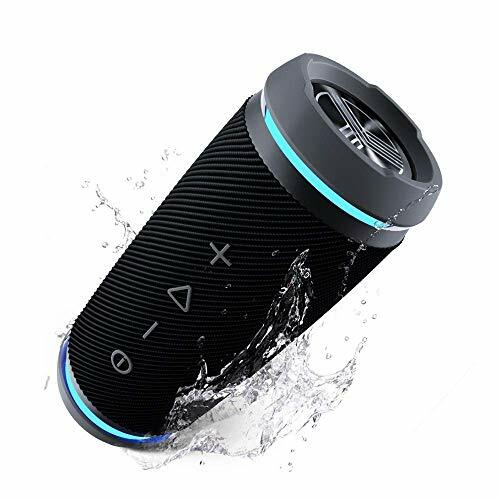 However, if you only need a Bluetooth speaker to accompany you during showers or a bubble bath, then it is one of the most affordable and reliable ones you can get today. Suction cup technology is quite impressive. 3W output power from its drivers is rather weak. 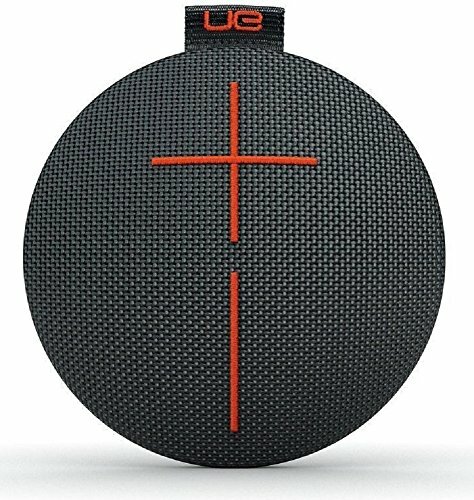 The JBL Clip 2 speaker is rated as IPX7 which means it can survive being accidentally dropped into a body of water. 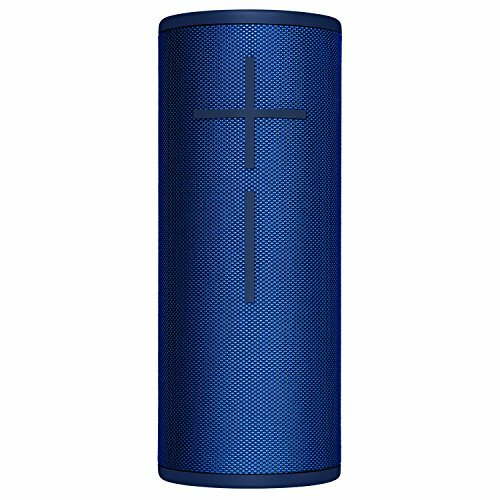 That is an essential touch for Bluetooth speakers designed for use either outdoors or in bathrooms as water damage is pretty prevalent within those environments. 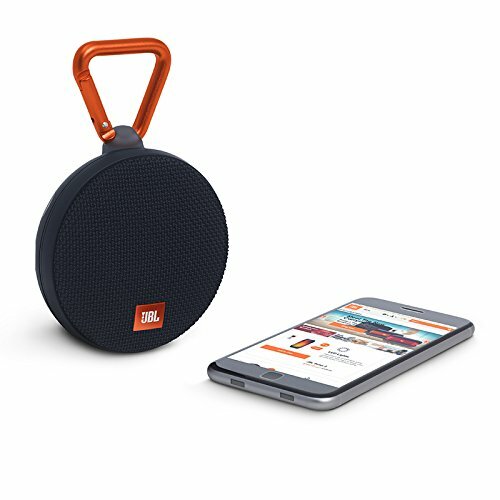 As for connectivity of the JBL Clip 2, it can manage to connect easily to your Bluetooth device for up to 30-feet, as long as there are no walls or obstacles in the way. On average, you can bring it as far away as 20-feet (with walls in the way) from your music player before noticeable skipping occurs. It also comes with a 3.5mm output socket for wired use. Battery life is what you expect from a more affordable Bluetooth speaker at 8 hours of continuous playtime. Of course, the volume level will significantly affect this as playing it on full volume will see its battery life cut in half. The sound quality of the JBL Clip 2 is pretty impressive which is not a surprise seeing as JBL developed it. However, don’t expect mind-blowing levels of sound quality. It is a pretty decent wireless speaker for outdoor treks and showers which is what this list is all about. Perfect for outdoor activities or use in the bathroom. Sound quality is somewhat lacking in the low-end frequency department. Some audio distortion at max volume. The SoundBot SB510 HD might be part of the budget-friendly Bluetooth speaker crowd, but it indeed manages to deliver above and beyond its actual paygrade. The SB510 HD is rather small, but it packs quite a punch, sound-wise. The clarity is pretty on-point with the full high-end frequency as well as a hearty mid. It seems to be specifically designed to be used within the acoustics of a bathroom as its shortcomings does become visible (or audible?) when taken outside in ample open space. A unique feature it has that makes it an ideal shower speaker is the noise and echo reduction technology. This compliments the acoustics commonly found in small echo chambers like bathrooms. It is also worth noting the highly reliable detachable suction cup technology used in the SounBot design. If you are looking for a robust and affordable Bluetooth speaker for your shower, then the SoundBot SB510 HD is as good a choice as any. It has a battery life of 6 hours which is a pretty good number for a wireless speaker designed for bathroom use. Speakers are located at the back which helps bounce of the sound around the acoustics of the bathroom. Does not come with an AC wall charger. No built-in volume controls. You need to adjust volume via your smartphone or music player. 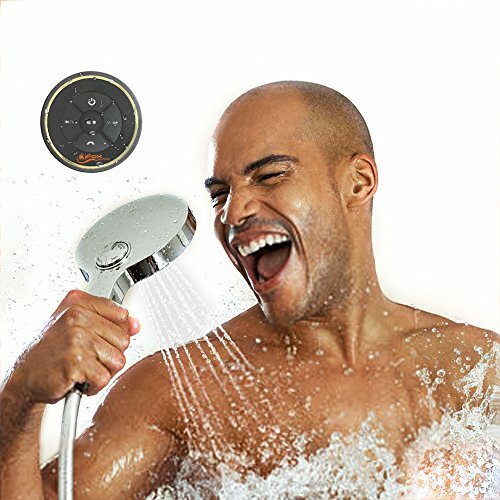 IPX Rating: if you plan to use your speaker directly in the shower, you want to make sure it has an IPX6 waterproof rating or higher, better speakers have a rating of 7 or higher. Size – the size of the speaker is dependent on the size of the bathroom. Bigger speakers might produce louder sounds, but having a position to place them is what matters most. So consider the size of your bathroom and the amount of space available to place the speakers before buying the speakers, if you have a compact bathroom space you may want to look for a mini speaker. Design – by design I mean the ability to resist water and humidity. Not all waterproof gadgets resist water in like manner. One major factor is quality, and it depends on the buyer because higher quality products often cost more than lower quality ones. The buyer should note that high-quality gadgets offer more features than low-quality gadgets. If you know what suits you and what suits your wallet, your decision is key. Just make sure to consider this before going into any purchase. Power rating and Battery – the durability of the battery cannot be overstressed. Batteries that would not last long after a full charge are a major turn off. It is often noticed that people who listen to music in the bathroom spend a longer time than usual. So it is better for the buyer to purchase speakers that have long-lasting batteries. One other thing to consider is if the batteries are replaceable, although this is based on the interest of the buyer. Bathroom speakers must be designed in ways that even the user might not notice. The speaker must be waterproof and resistant to humidity. Water can pass through some tiny pores and spaces that are not seen by the human eyes. If the speaker cannot resist water, then it is of no use in the bathroom, pool, or anyplace usually with water. The buyer must consider other features like battery life, sound quality, and price. All these features work hand in hand, and the user must take each of them into consideration before purchasing the speakers. Whether you like to sing in the shower while you shave or take a long hot bath with relaxing bath bombs, adding a good quality speaker to your bathroom that is waterproof is a great addition.